In a New York Times piece on the weekend, media writer David Carr argues that WikiLeaks is dying — or at least on life support — for a number of reasons, including founder Julian Assange’s court case and a funding crisis that has caused the organization to put its leaking on hold. While the NYT piece makes it seem as though all of this is somehow a natural course of events and nothing to be upset about, the reality is that both Assange and WikiLeaks have been the targets of a sustained attack by the U.S. government and companies like PayPal and Visa. 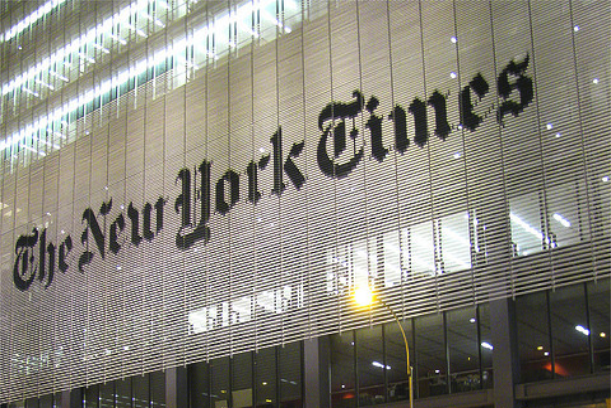 And if the New York Times is less than choked up about WikiLeaks’ demise, it’s because the organization is a competitor that was beating the Times at its own game. As Carr notes in his piece, WikiLeaks has been under fire almost from the moment it first emerged on the scene last year with leaked information from the U.S. military — including videotaped evidence that civilians were killed during an air assault in Iraq. That was followed by the release of hundreds of thousands of diplomatic cables, which were provided by a whistleblower inside the Army, intelligence analyst Bradley Manning, who remains in detention. 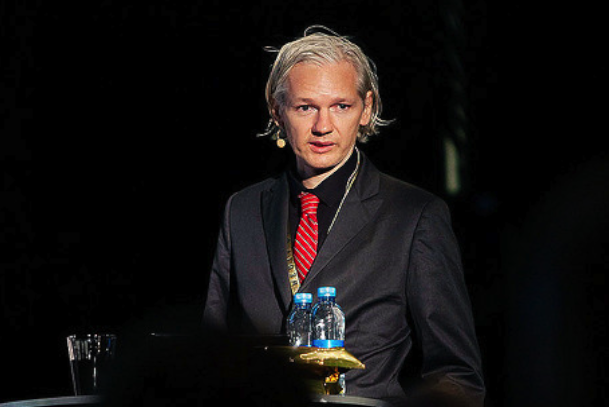 Ever since that event, WikiLeaks itself has been under attack from the U.S. government, and at the same time Julian Assange has also been the subject of bad press surrounding allegations of sexual assault against two women in Sweden. Although stateless and seemingly beyond the reach of the law and its enemies, WikiLeaks was, from the beginning, subject to a number of internal frailties and external vulnerabilities. By frailties, Carr presumably means the personal quirks of WikiLeaks’ founder, who became the public face of the organization, something that other members of WikiLeaks — such as Icelandic MP Birgitta Jonsdottir, an early supporter of the project who is one of the targets of the U.S. Justice Department’s espionage case — have criticized, but which undoubtedly got the organization a lot of publicity (both good and bad). And the “external vulnerabilities” must refer to being cut off by payment organizations and having its documents deleted from Amazon’s servers, despite the fact that WikiLeaks has not been charged with any illegal activity. Although there have been some protests from groups like Anonymous criticizing the payment blockade against WikiLeaks and the U.S. government’s case against the organization, there has been little public outcry, despite the important principles at stake. And as programmer — and visiting scholar at NYU’s journalism school — Dave Winer notes in a post, there has been little or no support for WikiLeaks from traditional media such as the New York Times. In fact, the NYT and former executive editor Bill Keller have done as much to torpedo Assange and WikiLeaks as to support them, despite the fact that the organization is arguably a journalistic entity just like the New York Times itself. That journalistic nature, which led journalism professor Jay Rosen to call WikiLeaks “the first stateless news organization,” is likely a big part of the reason why the NYT and other newspapers have done so little to protest what is happening to the organization — which as Dan Gillmor points out is a restraint on freedom of speech co-ordinated by private companies pressured by the U.S. government, based on allegations that haven’t even made it to court. By becoming the default entity that anyone with secrets looked to for help, WikiLeaks represents a clear threat to the New York Times. As Winer points out, the phenomenon that WikiLeaks created is unlikely to go away even if the organization itself dies. Although alternatives such as OpenLeaks are still in their infancy, the tools exist to replicate what WikiLeaks did, and others will undoubtedly try. But what’s more important is that we have all (including the New York Times) failed to do what Jonsdottir has argued that we should do — namely, support WikiLeaks and its mission of bringing transparency to government despite any misgivings we might have about Assange, because the principles at stake are so important. Oddly enough, though the US may try to railroad it through, there are very specific laws that prevent Mr. Assange from being prosecuted for the leaks. For one, HE didn’t commit espionage. Manning did! And two, there are precedents set that shield any form of press from printing what they receive. Yes, even if the information was obtained by illegal means. As long as the press didn’t commit the infraction, they cannot be held liable if it turns out to be true. And yes, Wikileaks, in the capapcity of publisher, is now considered press! I loved the whole article a lot, except the end: “despite any misgivings we might have about Assange”. My only misgiving is that he should have known better. But he has done something very remarkable and deserves all our support. If we don’t fight for our basic rights, we will get none. And we are dangerously close to having none. Great article Matthew. I usually only read stuff written by Om here and this article felt like it was written by him. Complements to you! Thanks, Kiran — that’s very kind of you to say. That’s a fair point — but do we dismiss the New York Times as journalism or as being worthy of protection because it allowed Judith Miller to write unsubstantiated stories that helped drive the U.S. into a war? It’s almost as if no one wants to know the truth… that the entrenched corruption and cruelty from sea to shining sea not to mention on every continent is just too much to handle. Consumers worried about economy and acquisition of baubles not freedom of speech. I’m as guilty of this malaise as anyone. What are your suggestions? How do we show our support for WikiLeaks? As for Bradley Manning I seem to recall at least a few thousand incidents where US gov has ‘detained’ indefinitely sans official charges. I generally agree with the point of your article. In the past we generally relied on journalists to uncover corruption in government and business. In my opinion, this just doesn’t happen often enough today. Journalists are too often in the business of rewriting press releases from government and business. I believe it is worse at the state and local level. I believe that some of the people that share information with WikiLeaks may suffer consequences, especially when the leak of information results in the death or injury of others. Matthew, this is a clear, cogent, well-written and completely wrongheaded argument. Assange sought out to damage, wholesale, American power. He succeeded (with help from PFC Manning). He did so in ways that not only embarrassed America’s parochial interests, but harmed its long term ability to work on problems of vital national and international concern, (like terrorism, proliferation, etc.) and in a way that put real people – real sources – at risk. It is inconceivable to me that people have not died because of Assange’s poor stewardship of his purloined data. In regular conversation with literally dozens of seasoned journalists, I have not found a single one who strongly endorses Assange. They cohere to a code of conduct and ethics, they go through scrupulous editing processes, they have a stake in the very societies on which they report. Assange does none of these things — are you surprises he garners so little support? OOch, take some time to educate yourself about the atrocities revealed in the cables and wikileaks work. You do not know i’m afraid. Legally you do not need to be an American to be protected by the first amendment. Sorry, but you’re just factually wrong. And he’s not an Anarchist. I should know because I *am* an Anarchist. Still, while his politics may not be ideal it’s simply illegal for the obama administration and the corporations to blacklist him without due process. There’s something fundamentally wrong when you can use paypal to donate to the Klu Klux Klan but not to Wikileaks. Wikileaks has let out some important and secret information over the last few years. If you don’t know what wikileaks is, this article gives an explanation on it. If my government was executing civilians in foreign countries and lying to cover it up, I would want to know about it so I could do something about it. It seems there is no shortage of people who are comfortable with civilian casualties, torture and war crimes and therefore oppose Wikileaks work. I fear your governmental trust is misplaced and being abused systematically and once there is no one else brave enough to do what Assange has, you will be in the dark forever. espionage only applies to US citizens and if applicable Assange should also benefit from the supposed protections a citizen would. Also, uncovering government abuse should never be espionage and in fact the perpetrators should be tried for treason and misappropriating tax payer dollars. You make the assumption journalism is still focused of spreading the truth. As an African, I have lost all faith in established media. They are there to serve interests depending on the parties in involved. The whole point is that Wikileaks was not trying to compete with the New York Times on a level playing field. It sought to be stateless when faced with charges of libel and/or encouraging theft of intellectual property. Not satisfied with protections offered to journalistic publishers, it sought a broader immunity by being “stateless”. Allegedly provided by. “Allegedly” is missing. Mr. Manning has not been found guilty of that crime. Presumably until then he is innocent. Well, the Times did support it and published content from Wikileaks. I think the issue the Times has with Wikileaks in some cases stems from some of the more puzzling demands and conditions from Julian – all of which Mr. Keller went into detail with in his articles. There is plenty of blame I’m sure for their “demise” but it rests with financial intuitions and governments. Michael, my point is that the NYT could have tried to fight and publicize this attack on free speech and freedom of the press, but chose not to — and thus has contributed to the downfall of another media entity. Thanks for the comment. He exposed torture and human rights violation in Iraq and other countries. Bradley Manning is only ALLEGED to be the source of those documents released by Wikileaks. After 18 months in detention, PFC Manning has not yet been formally charged by any Grand Jury or its equivalent in the Uniform Code of Military Justice and its related laws and rules. That quoted statement in this article is making the same mistake as POTUS Obama when he said “He [PFC Manning] broke the law” and thus Obama committed illegal command influence as Commander-In-Chief of U.S. armed forces. Please do not judge PFC Manning and find him guilty without due process. agreed. Obama’s eagerness to ignore due process is one of the worst of his many bad characteristics and one of many shared with his predecessor. Then good riddance. I am among those who will be glad to see both WikiLeaks and New York Times die an ignominious death. Julian Assange is a self-important, sanctimonious, self-righteous little pr*ck, matched in this case only by the condescending elitism of Arthur “It’ll be mostly high-school kids and people who are out of work [who try to evade the NYT pay wall]” Sulzberger Jr. So good pitch, but no: I will not support WikiLeaks, precisely because of my misgivings about its founder. Rather I will look for the important principles at stake to assert themselves in some far better way. The cream should rise to the top, but it also should be pure. From what I have seen of Daniel Domscheit-Berg, I’d be inclined to place his OpenLeaks alongside the New York Times and the Wall Street Journal in the matter of trustworthiness. If I had something to leak I’d be more inclined to pop it into a bottle and throw it in the sea than trust any of them. Julian Assange may be an outlier, but WikiLeaks worked because it was designed to protect whistleblowers. I could understand the NYT choosing to go its own way, but the fact they have done nothing but help to suppress their own public’s right to know makes them worse than useless. Thanks for the comment, Laurel — I completely agree. Great article Mathew. From your vantage point as a journalist, do you get the sense that individual journalists sympathise with the principles at stake (regardless of their view of Wikileaks)? If so, why the virtual radio silence from them? If not, why could that be? I think some do, but many do not — they prefer to see the protection of freedom of the press as something that should only apply to the mainstream media. It’s worth pointing out that the mainstream (read: corporate) press has been less then enthusiastic about supporting journalistic protections for alternative media in general. Josh Wolf spent a year in jail for refusing to reveal a source and that was met with virtual silence from the corporate press. All of which points to a very sad fact – the corporate media is not about journalism. It’s about advertising dollars and the ability for their corporate owners to shape public opinion by controlling public debate. Point #1: You say in the beginning that “freedom of speech” is under attack. The constitution explicitly states that espionage is not covered under freedom of speech. It has always been an exception to freedom of speech. Therefore, to say that getting punished by the government for an act of espionage is an “attack on freedom of speech” is clearly wrong both from a legal and historical perspective. Point #2: You say that the NYTimes is somehow to blame for Wikileaks weak health. How in the world could an op-ed or some other propaganda support in the NYTimes have helped Wikileaks. I think your estimation of the power of the fourth estate is very mistaken. @Sam Jaffe What Wikileaks has done is in fact less like espionage than what Woodward and Bernstein and the Washington Post did in bringing down the corrupt Nixon administration. Laurel makes an excellent point, Sam — if what WikiLeaks did is espionage, then what the NYT and other investigative outlets do is also espionage. And in any case, the government has yet to make that charge stick, which means it is still an attack on free speech with little or no basis (so far) in law. As for the NYT having an effect on public opinion about an issue, I think it could certainly help a lot more than not saying anything. Thanks, Nguyen. Appreciate the comment.